For a variety of reasons, it hasn't been possible to get up onto the tip until today. And this post will be extremely brief due to a horrendous cold and possibly one of the least fruitful visits I've had up there. No Caspian Gulls, no Yellow-legged Gulls with just a couple of Mediterranean Gulls the highlights aside from the 25 ringed gulls I had - one Dutch, one Scottish, one Norwegian with all the other birds local. 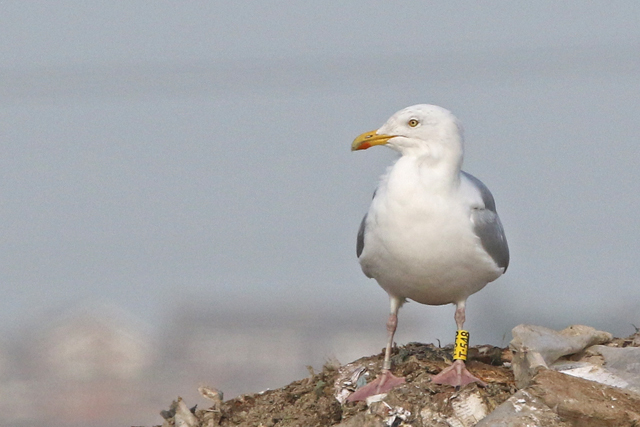 adult female Herring Gull T:548, Essex 23rd January 2016. Ringed at Montrose, Angus, on 2nd July 2013 and the fourth time I've seen it at Pitsea Landfill; previous sightings being on 23rd November, 7th December 2013 and 2nd February 2015. 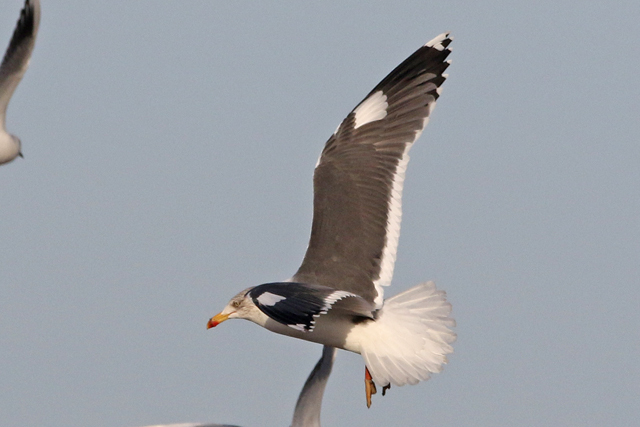 I guess the only other bird of interest was an adult Lesser Black-backed Gull with symmetrical white feathering in its upperwing. Let's hope I feel better and the birds are a lot better next weekend.